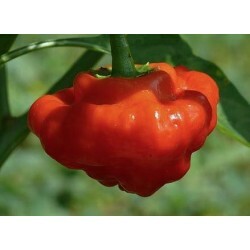 Paper Lantern is a habanero type, but more productive and easier to grow than the usual habaneros and 2 - 3 weeks earlier to fruit when you sow the seeds the same time. 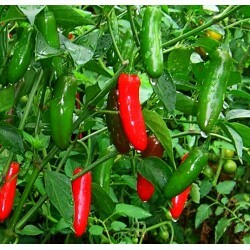 These chilli peppers mature from pale green to orange to bright red and they reach grow up to 7 cm long. 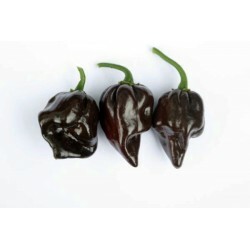 They are very hot, 350k Scoville unite. 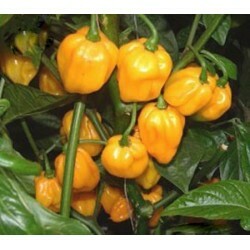 The fruits are ready to pick in 90 days after germination in ideal conditions. Pointy, lantern shaped, shiny fruits. 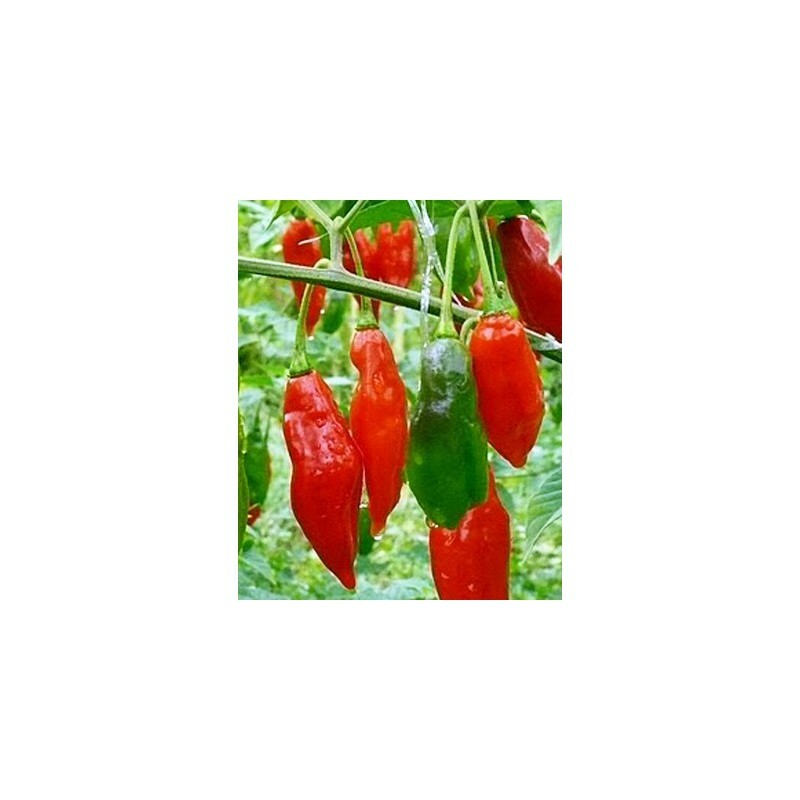 Sow the Papern Lantern chilli seeds about 1 cm deep into a seed tray or in small pots or cells. Cover lightly, water and place inside at between 20-25 Celsius. To aid germination, place the tray in a plastic bag. Sow January-March. Germination can be slow with some hot peppers. As soon as seedlings are large enough to handle, prick out.Transplant the seedlings into small individual pots. Use rich compost and keep the plants between 20-30 Celsius during the growing season. For best production keep the plants in the greenhouse. Regular feeding is recommended.